The Guidecraft Classic Espresso Desk provides a stylish and appealing spot for children to focus on studies and store school materials. 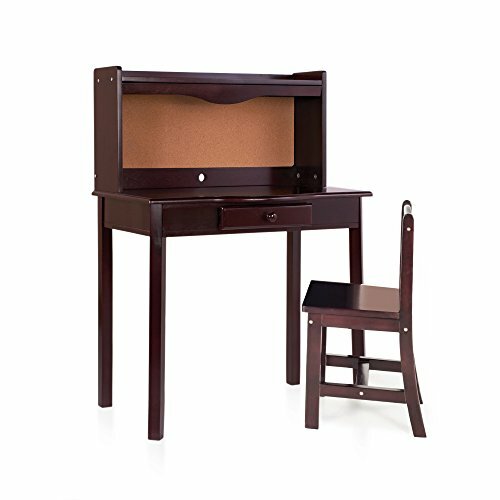 Child-sized desk features a corkboard back panel for pinning reminders, good grades or favorite drawings. Desk drawer provides ample space to accommodate all storage needs. Available in white or espresso. Dimensions: 27"W x 18"D x 39"H. Some assembly required.